Mankind has always worried about their end of days. It has come in the form of a zombie outbreak. One group has joined together in the hope of riding out the apocalypse. Living is a daily battle, but there might be one among them that will tip the scales in their favor. 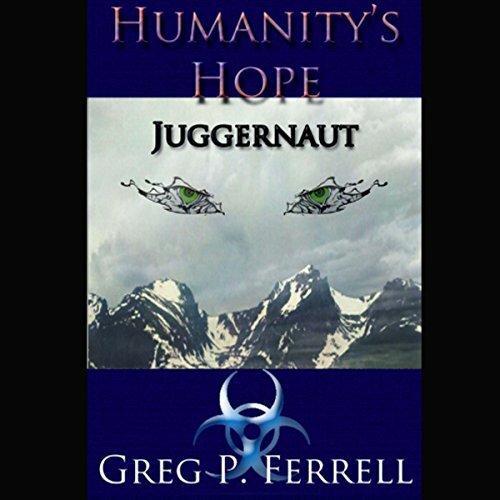 Would you listen to Juggernaut again? Why? Yes... I listened to this book while volunteering at the school & it kept my attention & even made me lol a few times! Love the humor, characters, suspense, etc. Hope was amazing to see as she grew from child to much, much more! Seeing her grow from experiencing the losses of her family & friends. Amazing strength in her! Have you listened to any of Jerrold "Dutch" Vanderwyst’s other performances before? How does this one compare? No but now I'd like to! Hope & her connection with her friends & sibling! She will do ANYTHING to protect them! She'd even kill for them... Would you?